Sayyid Jam'at Ali Shah's father Sayyid Karim Shah (r.a) was initiated into Silsila Naqshbandiyya by his maternal grandfather Sayyid Husayn Shah (d.1223/1809) of Makan Sharif who was a Perfect Wali'Allah (Friend of God) and was well-known for his spirituality.Sayyid Jama'at Ali Shah (r.a) received spiritual training from his father as well as from many of his teachers who were great sufi masters.However Baba Faqir Muhammad Churahi (d.1315/1897) in nearby Chak Qurayshian(in Sialkot district),formally initiated him into the Naqshbandiyya Mujaddidiyya in 1891.After sometime he went to Chura Sharif to pay respect to his Shaykh and was granted Khilafa'h (Permission to Initiate).Baba Ji (r.a) told him to Remember Allah and teach people the remembrance of Allah. 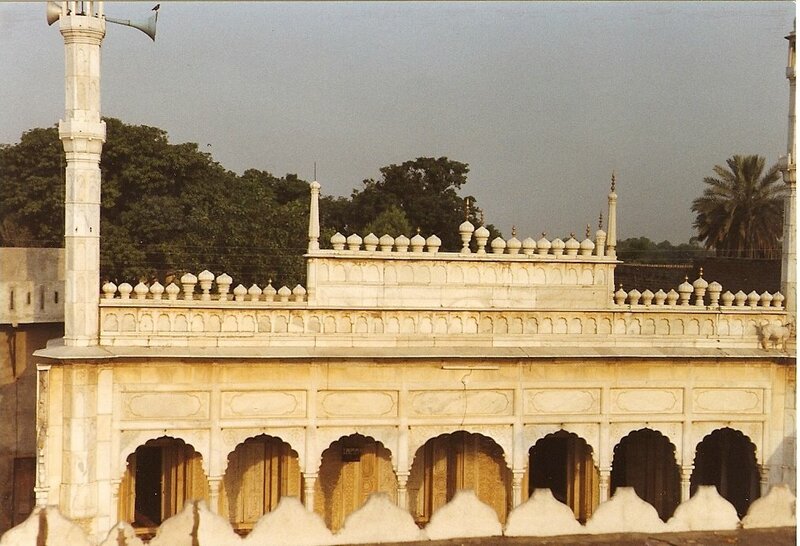 Following the advice of his Shaykh,he spent rest of his life in preaching Islam (Tabligh) and spreading of Naqshbandiyya order.His mureeds (disciples) were in millions throughout the Indian Subcontinent,Afganistan and Haramain Sharifain(Mecca and Madina) .They were scholars, professors,attorneys,teachers,officers, peasants ,labourers,rich and poor from rural and urban areas .He established his religious leadership in the sufi revival movement by propagation of Islam (Tabligh) as he traveled on foot to many villages and towns. He not only encouraged regular performance of required religious duties according to Islamic Law (Shariah) and supervised the construction of Mosques & Madrassahs but advocated a sufi revival Islam centered on Love of Allah and His beloved Prophet (saws) and service of humanity.